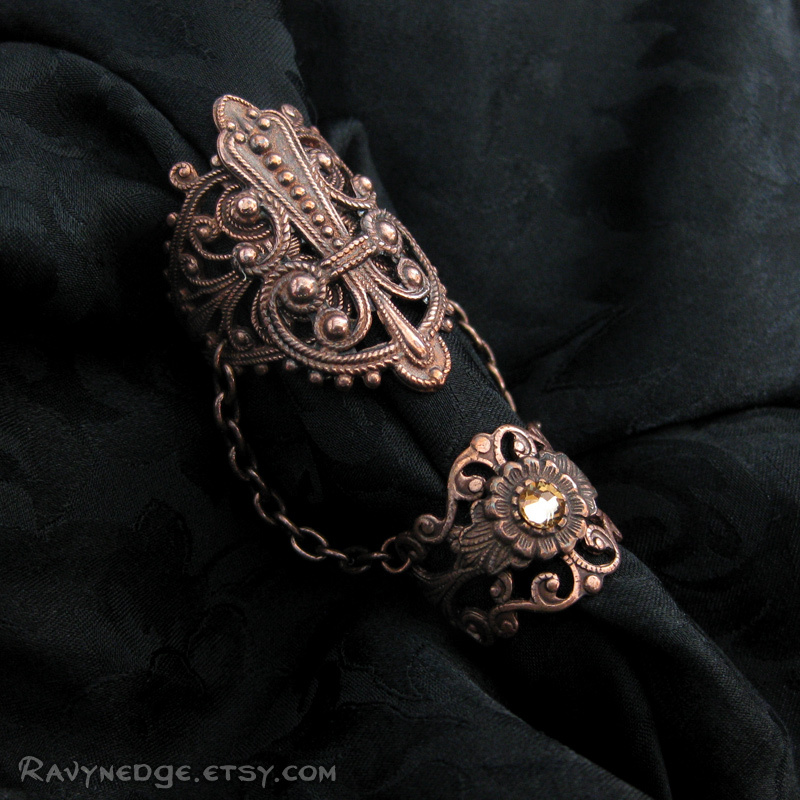 Aegis Copper Armor Ring III - Copper Filigree Adjustable Armor Ring by RavynEdge. 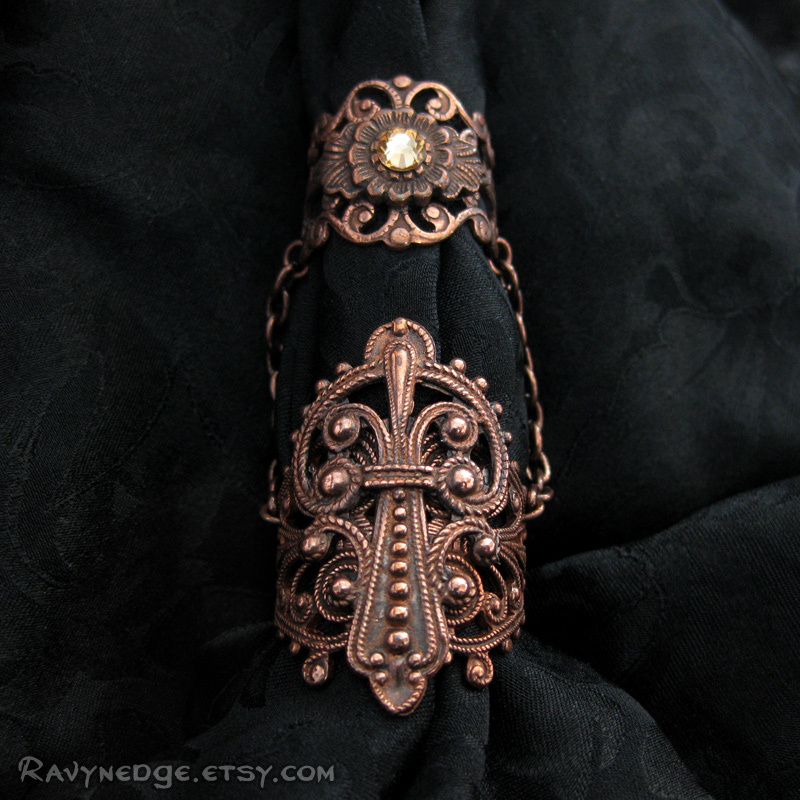 One of my customers asked for the original Aegis design in copper, but due to the vintage nature of some of the elements used, I was unable to recreate the ring exactly as it was. I redesigned the ring for her and this was the result. 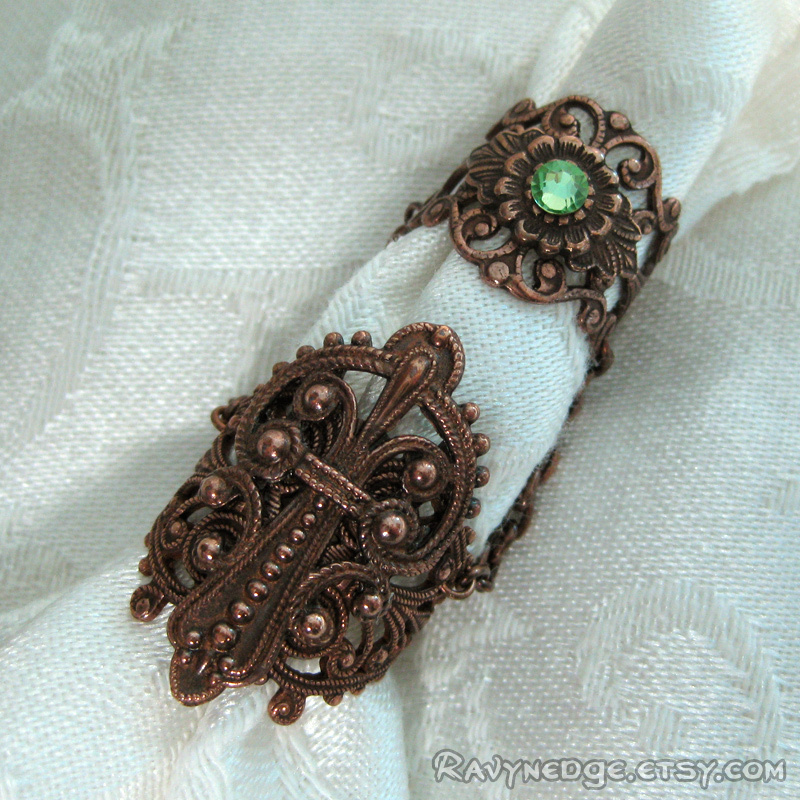 Aegis Copper is a two part armor ring made from ornate copper filigree formed to wrap your finger comfortably. 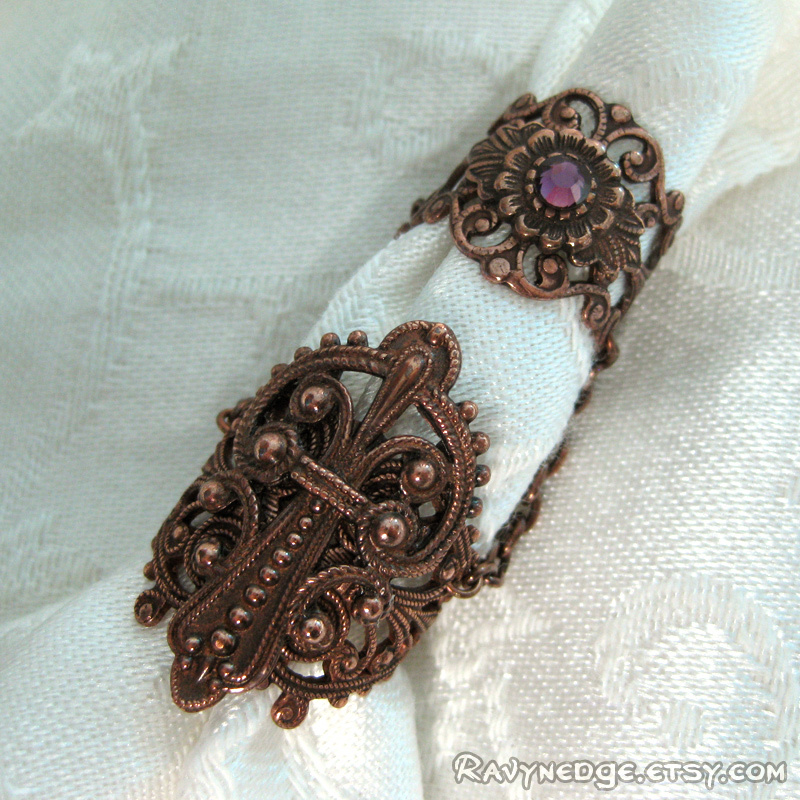 The knuckle band is adorned with a Swarovski crystal and connected to the main band with copper plated steel chain. Can be worn on any finger. 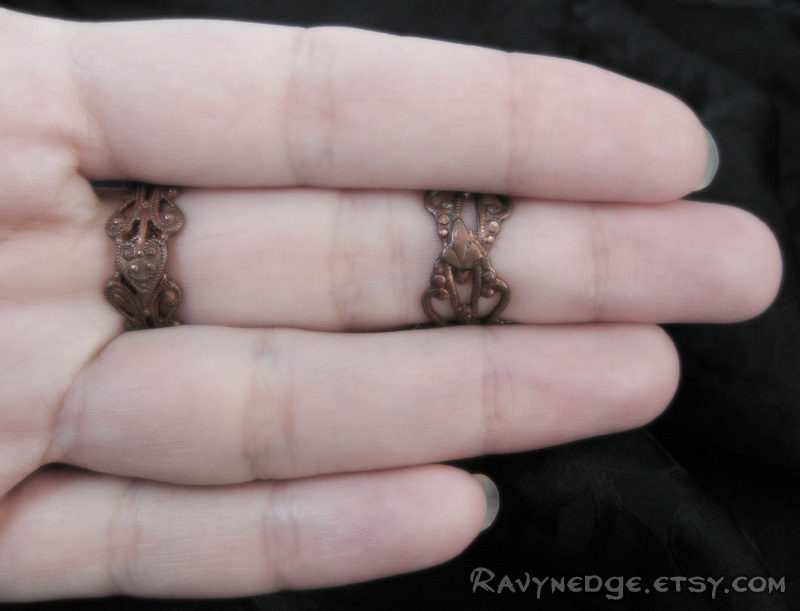 Both rings are adjustable and can fit most finger sizes.